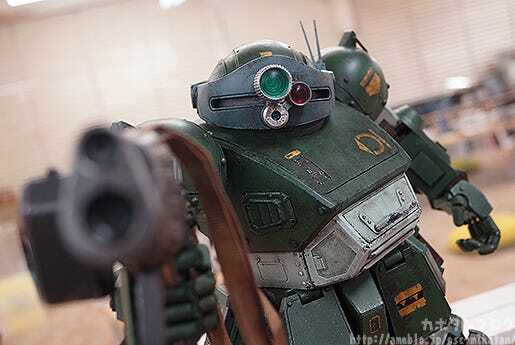 VOTOMS ATM-09-ST SCOPEDOG TM-09-ST ! 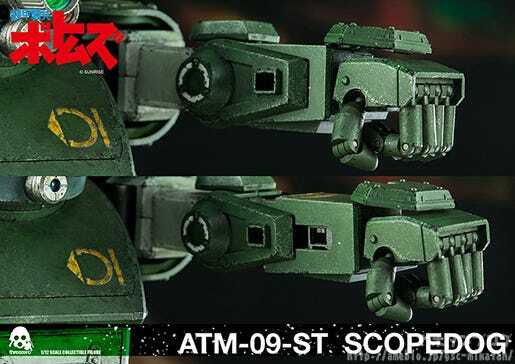 From the mecha anime series that first aired in 1983 that has led to various OVA series, novels and games ‘Armored Trooper VOTOMS’ comes a 1/12th scale action figure of one of the most well-known mecha from the series – the ATM-09-ST SCOPEDOG! 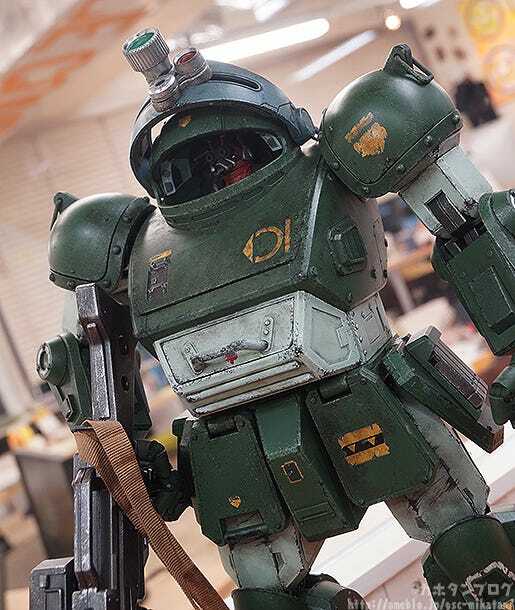 A 1/12th scale action figure of the SCOPEDOG from Armored Trooper VOTOMS! 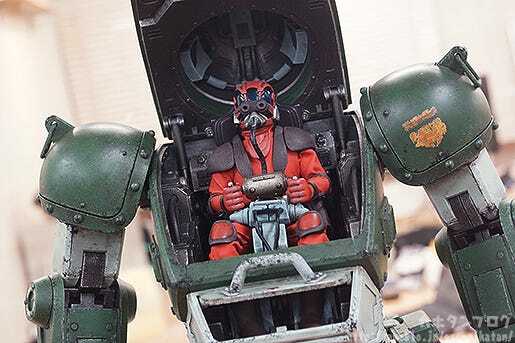 The unique battle-damaged paintwork that threezero is so well known for as well as the amazing sculptwork on the finer details and accessories, full articulation down to each joint in the finger… this really is the perfect SCOPEDOG figure!! 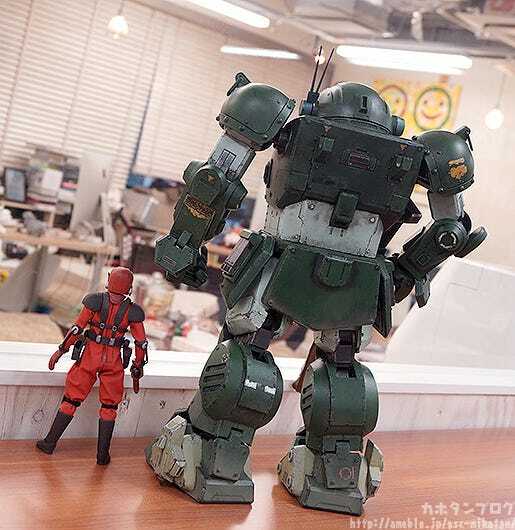 The ATM-09-ST SCOPEDOG is a highly manoeuvrable humanoid AT (Armored Trooper) that features muscle cylinders that allow it to move in a similar way to humans. 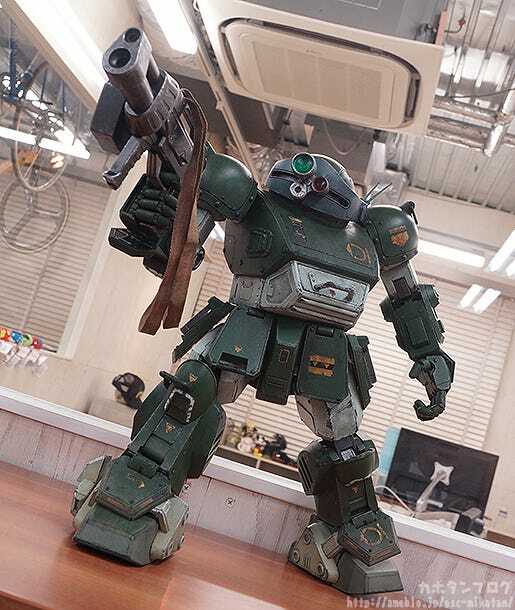 It is capable of combat in a wide variety of areas include space, open land and urban areas. The bottom of the feet are fitted with gliding wheels which can easily be rotated for quick and agile movement in almost any situation, and the feet also feature ‘turn picks’ which can be deployed into the ground for emergency braking. 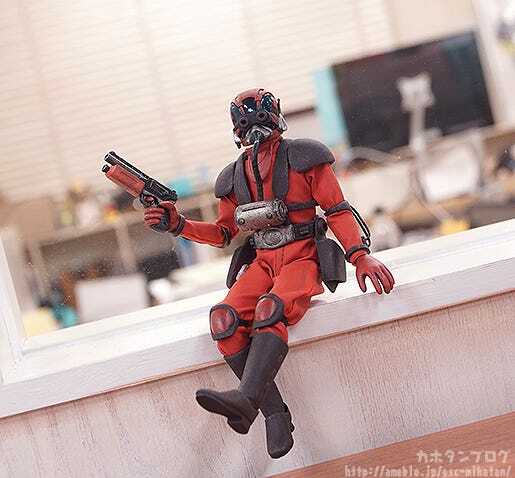 The figure also comes with a 1/12th scale AT Pilot to display beside or inside the main figure!! 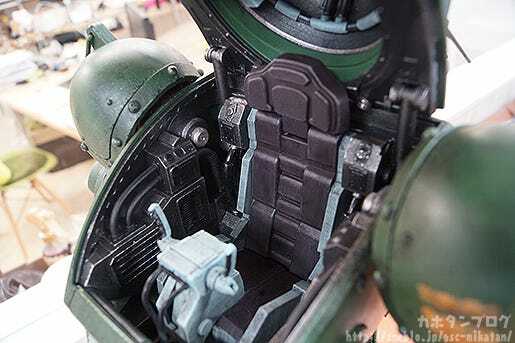 But of course the main reason you will want to pose him sitting is of course to pose him riding inside the AT itself! ▲ Just enough space for one pilot! 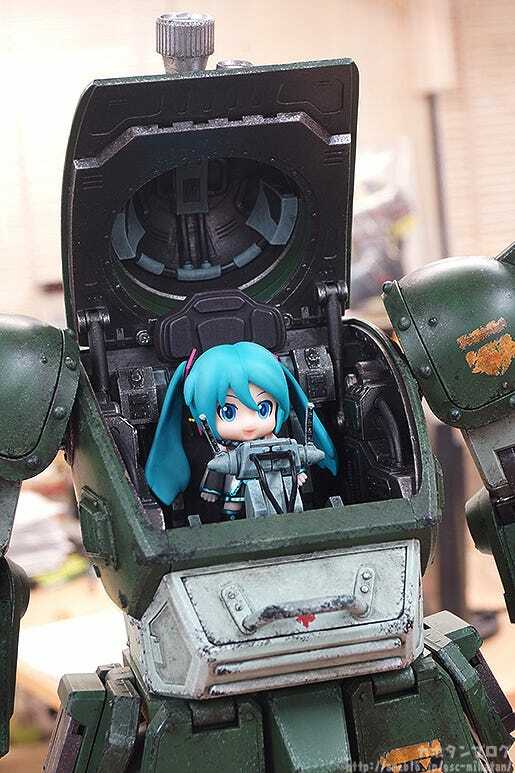 As a side note, Nendoroid Petite Mikudayo can also ride inside the SCOPEDOG! 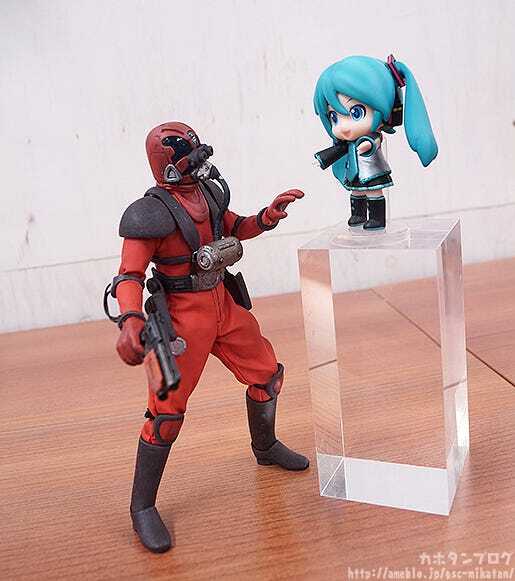 ▲ She has a rather convincing size, doesn’t she?! One last moving part I want to show off! 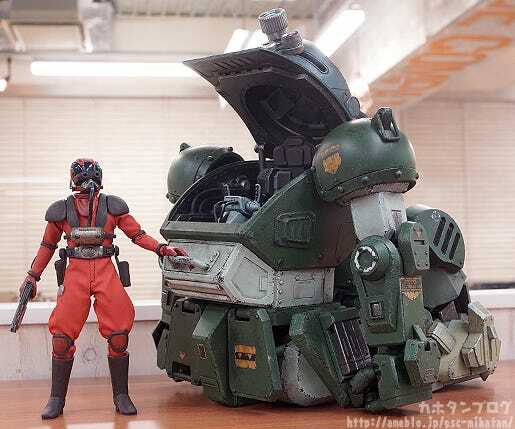 You can also recreate the powerful close-combat arm punch with the figure!! 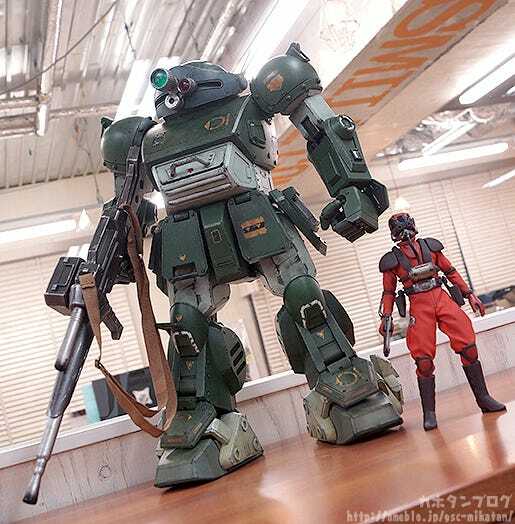 Bring the world of Armored Trooper VOTOMS into your collection!